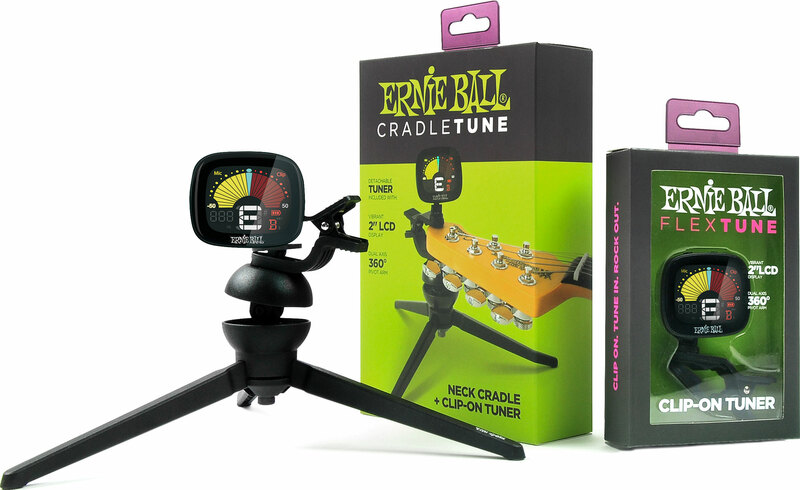 Ernie Ball was introducing 4 new and exciting products for the music industry. Two new expression based effects pedals and two new accessories for string instruments. They sought packaging that would give them an advantage in the retail setting. Ernie Ball Music Man has a diverse array of products in their portfolio, each with a different feel. The brand is very broad. The trick was to create packaging that maintained brand consistency, while making them feel unique in their own category. For the accessories packaging, we stuck with the established purple and green graphic formatting. We created a sense of value by adding more structure to the packaging. For the Pedal packaging, we created a clear portion of the packaging to show off the premium materials of the pedals. 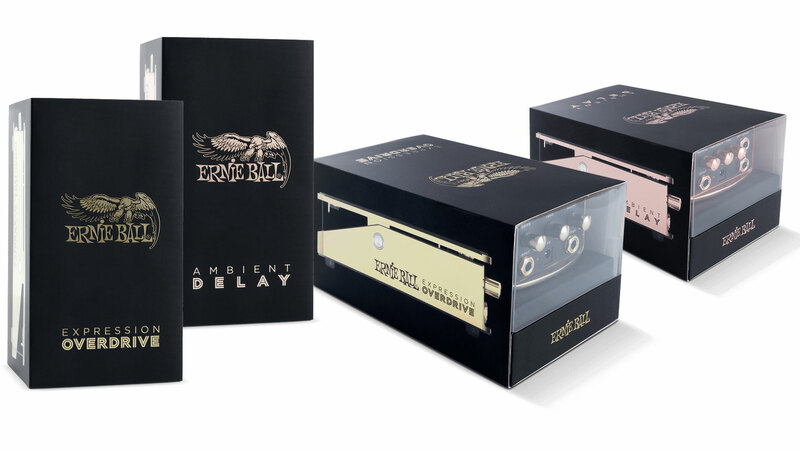 Working closely with the in-house marketing and design departments, packaging for the pedals were designed to accentuate the metallic materials in the product itself. A metallic paper sleeve protected a clear plastic lid and mirrored the materials in the product. Once the sleeve is removed, the entire product may be viewed through a clear plastic lid. This museum like display elevates the product to an artifact-like status, and lets the product design do some the selling. 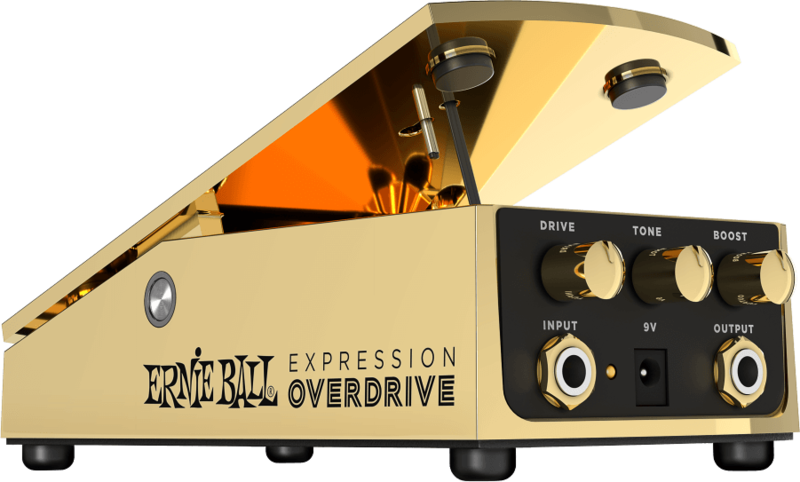 The Ernie Ball Expression Overdrive is made of a gold metal alloy that is reflected in the packaging materials and colors. 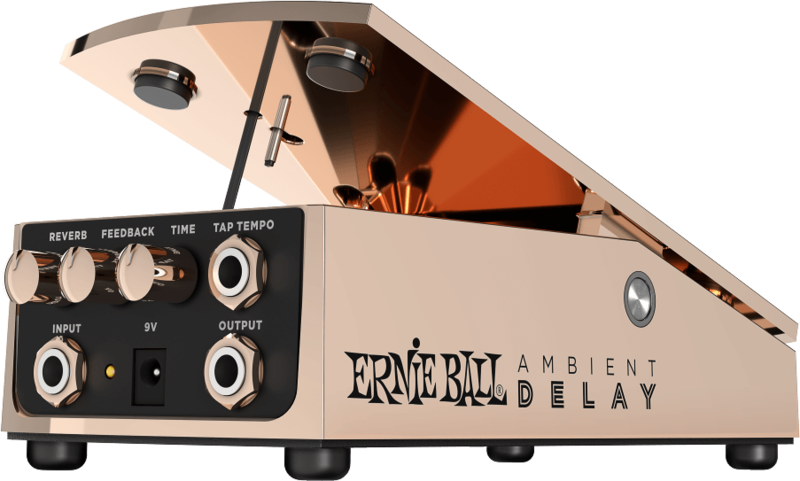 Similar to the Expression Overdrive, the Ernie Ball Ambient Delay is made from a rose gold alloy. The tuners followed the traditional format of the purple and green accessories packaging with the exception of a higher production value to reinforce the quality of the product. Photography of the Cradle Tune was used to help demonstrate function of the stand portion of the product. The Flex Tune displayed the product with inspiration from museum artifacts to elevate it above other tuner packaging in the marketplace.